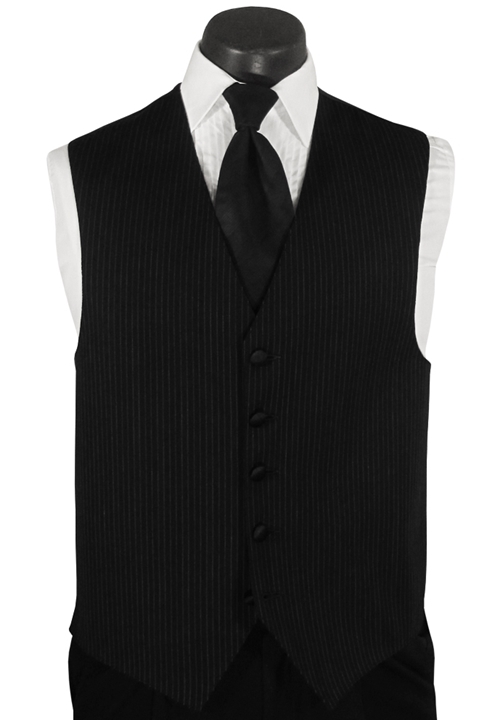 This black self fullback vest by Calvin Klein is a simple, formal fixture. It features a fullback design, a popular 5 button front, and is a matching self material. This vest is sure to complete your formal ensemble with classic style!